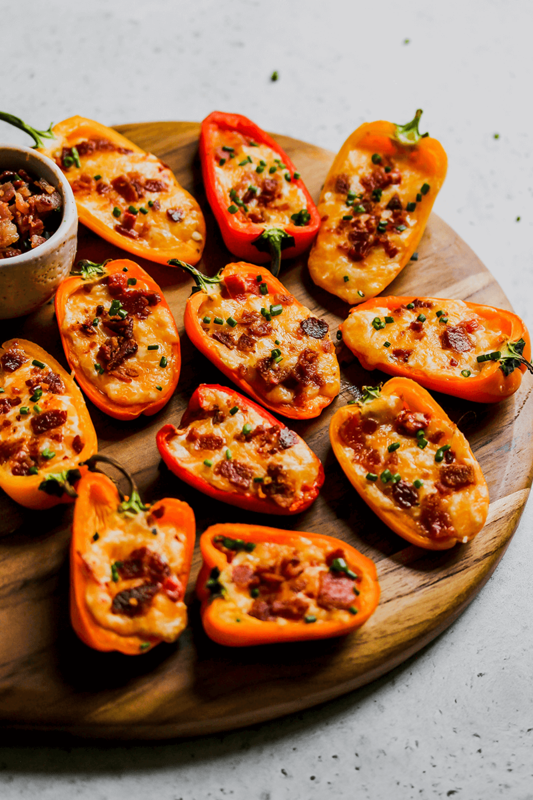 Pass around a platter of Pimiento Cheese Pepper Poppers and you’ll find people popping by your party to polish them off. Did you just read that first sentence? It reminds me of the episode of Friends where Joey learns to spit to become a better actor (the one where Monica and Chandler get married). Or maybe the Jimmy Fallon episode with Jon Hamm where they played Pat and Pete from the Palisades Park Pet Patrol. If you need a laugh, seriously, watch either of these video clips! And while neither of those clips have anything to do with these pepper poppers, all of the P’s made my mind go there. I’m so excited to finally share this recipe with you! I have been making these little poppers for parties for years! 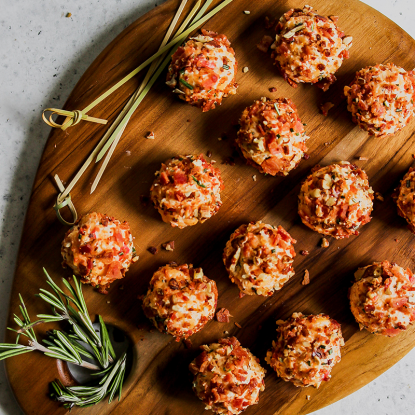 This is one way that serve them and soon I’ll be sharing my Pimiento Cheese Truffles. Keep an eye out! Sorry I held out for so long but I know once you try this recipe, you’ll be making them regularly too! 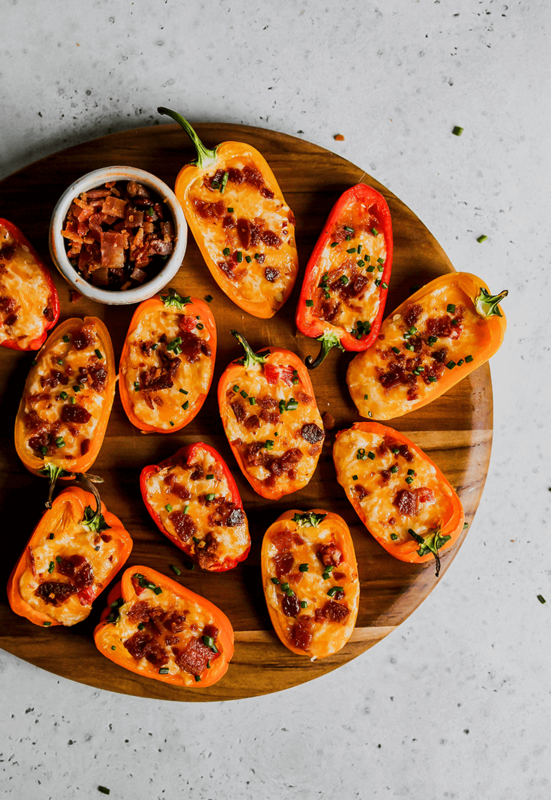 The key to making these pepper poppers shine is to start with my Lightened Classic Pimiento Cheese recipe. It is seriously the best ever! And, well, if you absolutely must take a shortcut, you can start with pre-made pimiento cheese. In Birmingham, I like picking it up from Zoe’s or grabbing a container of Palmetto Cheese from the grocery store. 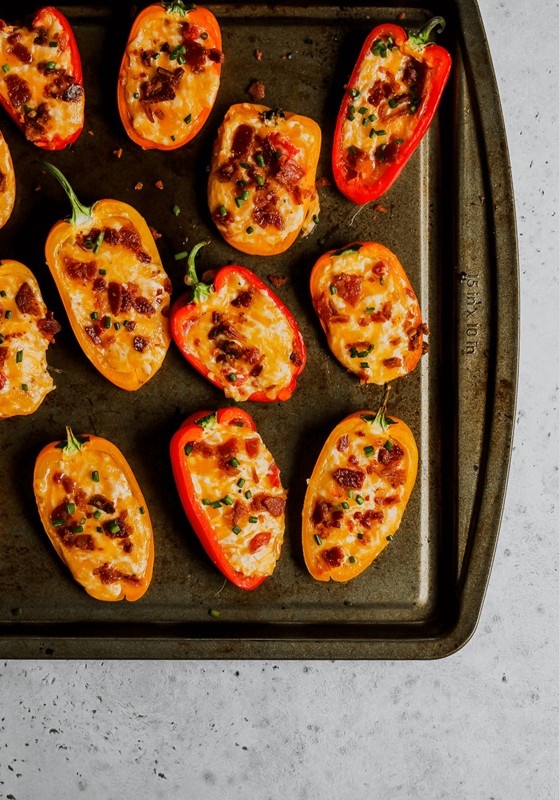 To make the peppers, spoon pimiento cheese into half of a mini sweet pepper, and broil until they’re hot and bubbly. 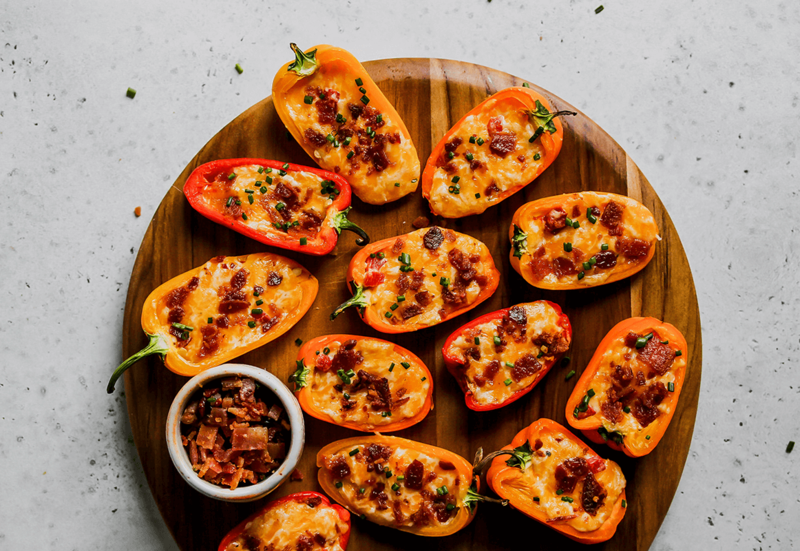 You can dress them up by topping with crumbled bacon and chopped chives. 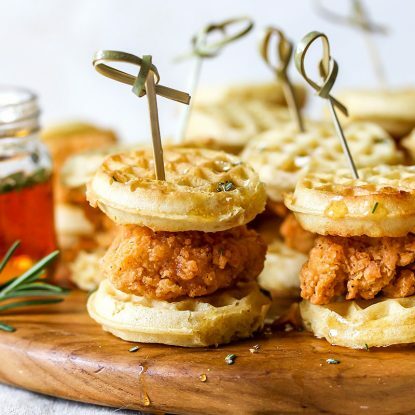 Serve these at your next party or tailgate! Cut sweet mini bell peppers in half lengthwise leaving the stems intact; remove seeds. 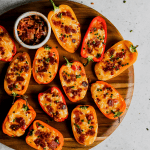 Spoon about 1 tablespoon pimiento cheese into each pepper half. 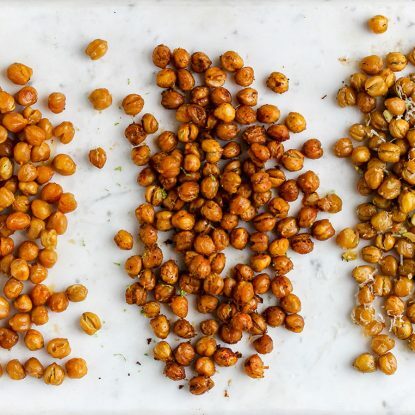 Broil until cheese is golden and bubbly. Sprinkle with bacon and chives, if desired. The beauty of this recipe is in the flexibility of it (as well as the taste, of course). You can easily half, double or even triple the recipe. Start with my delicious, from-scratch Lightened Pimiento Cheese or buy premade pimiento cheese from the deli.